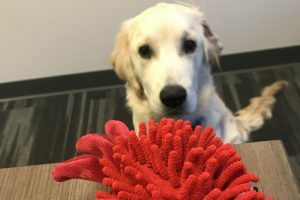 Leo goes to work every day and he absolutely loves it! In fact, Leo has been coming to work with me since we brought him home. The ability to bring him to work was one of the reasons we decided it was a good time to get a puppy because I would be able to watch him closely and take him out for potty breaks when needed. At first, I was nervous that he would bark, whine, and pee everywhere. 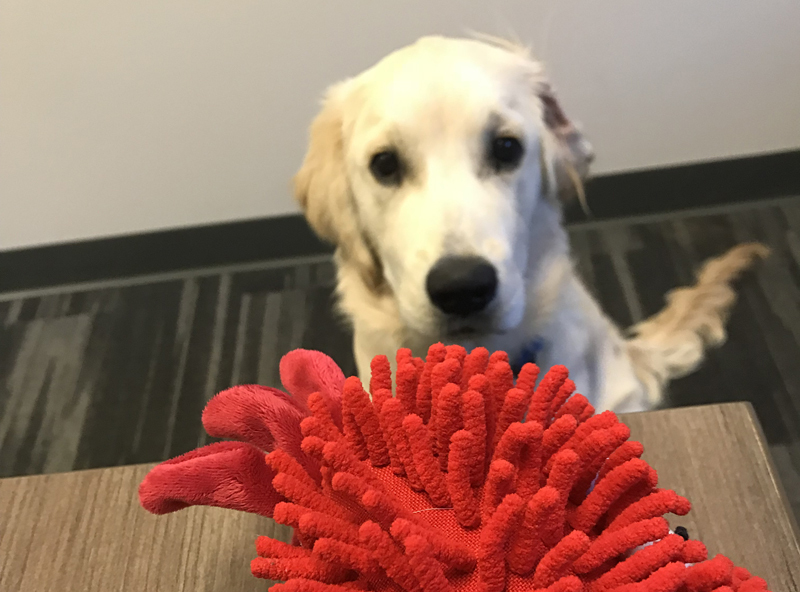 Surprisingly, he is incredibly well-behaved at work and saves all of his puppy shenanigans for when we get home (I guess I can’t complain about that). I am so proud of how much of a good boy he is. 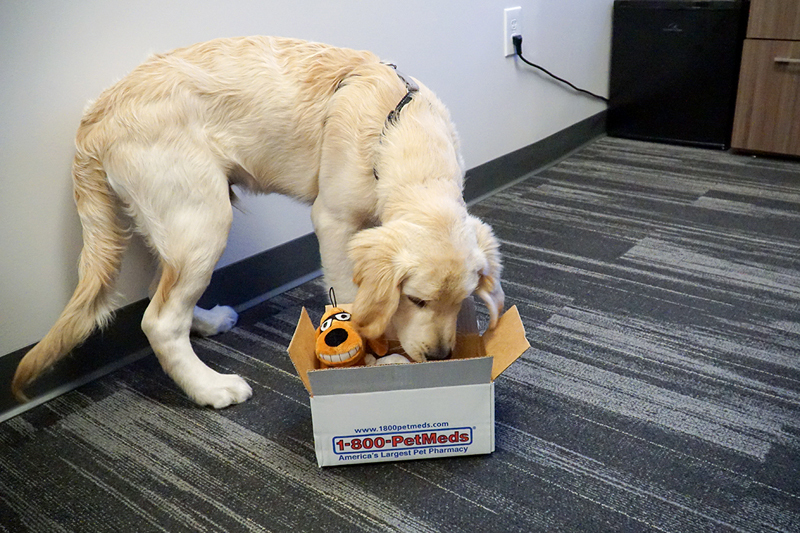 Technically Leo is still an intern, but he’s working hard and hoping to get promoted to Senior Toy Tester. I would love this. I have made our dog bleed before. I felt TERRIBLE!! 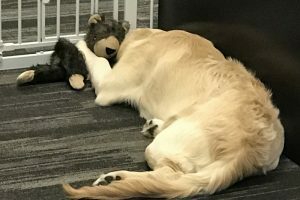 Comment on Leo’s job description – I, too, am lucky enough to bring my dog, Patty to work with me. Everybody benefits from this kind of arrangement, dont they! Patty’s job is very much like Leo’s. When Patty came to me, she was a 5-year-old rescue who hadn’t had a permanent home – ever. She was totally insecure, shy and afraid of everything. She walked with her head down all the time, like she was hiding from the world. All she needed, of course, was a Mom to love her and a chance to feel she belonged. That 1st year was so rewarding to watch her become the beautiful, smart, hilarious girl she was always meant to be. And coming to work with me was a big part of that. 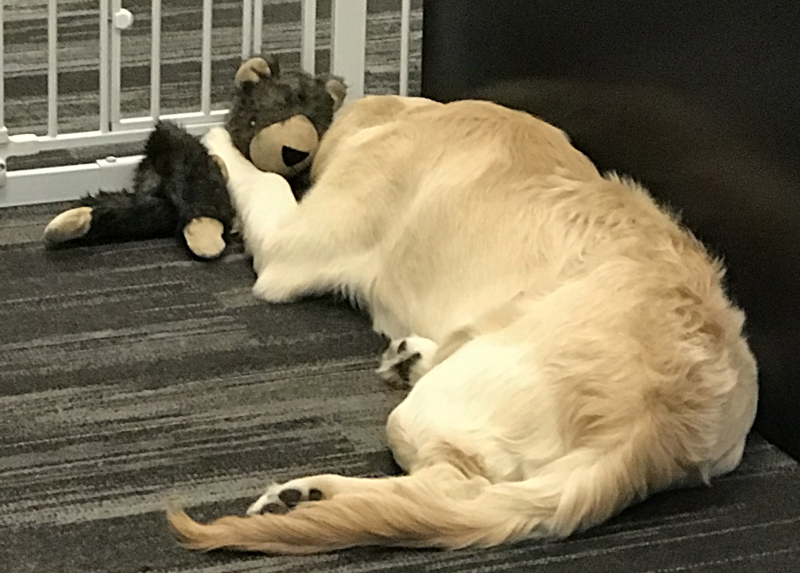 She already knew how to “behave” in the office for the most part. She is almost 9 now and will always have a job here at the law firm with me!! 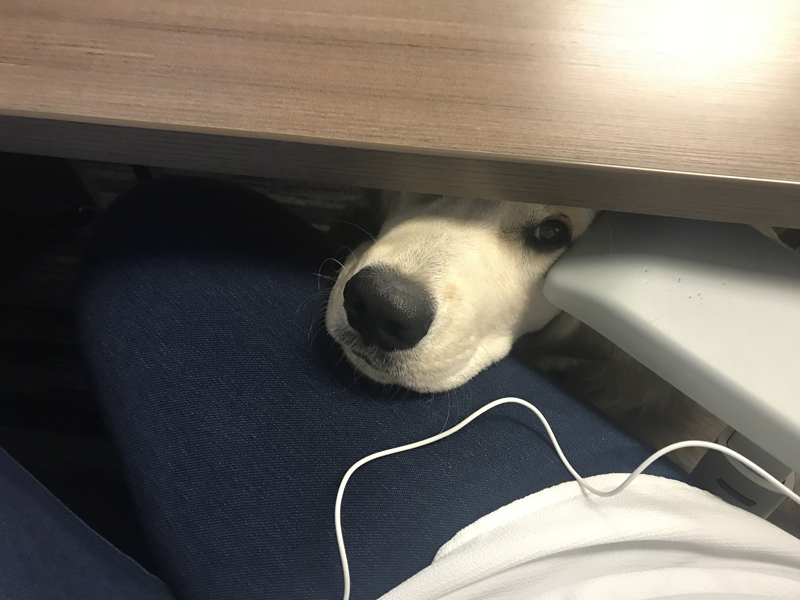 I, too, am lucky enough to bring my dog, Patty to work with me. Everybody benefits from this kind of arrangement, don’t they! Patty’s job is very much like Leo’s. When Patty came to me, she was a 5-year-old rescue who hadn’t had a permanent home – ever. She was totally insecure, shy and afraid of everything. She walked with her head down all the time, like she was hiding from the world. All she needed, of course, was a Mom to love her and a chance to feel she belonged. That 1st year was so rewarding to watch her become the beautiful, smart, hilarious girl she was always meant to be. And coming to work with me was a big part of that. 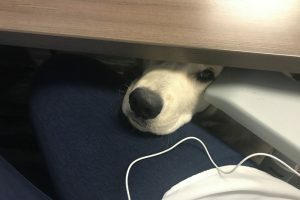 She already knew how to “behave” in the office for the most part. She is almost 9 now and will always have a job here at the law firm with me! !